Lighted LED silicone bracelet flashes rapidly when in "On" position. Contains On/Off switch on back of bracelet face. 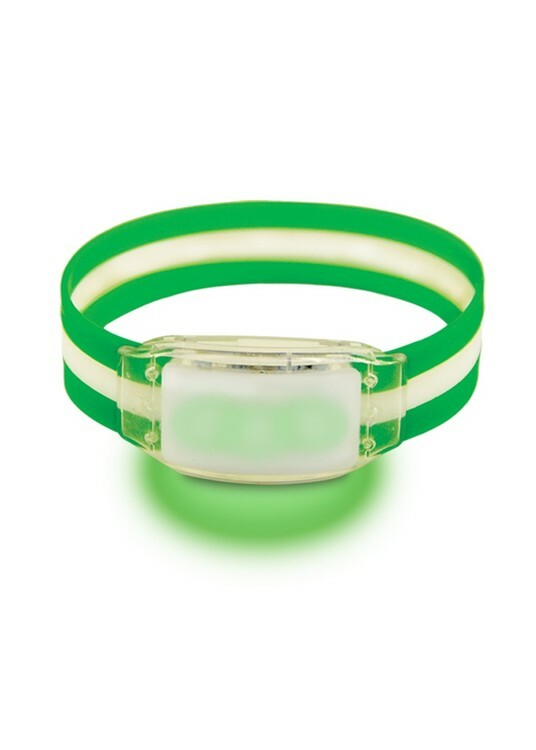 LED light matches bracelets' band color. Comfortable, elastic wristband is One-size-fits-all. 3 1/2" x 3/4" x 5/16"